Cary Nossler: “And if you’d like to learn more about the show, well it’s quite easy to do. You visit the website, foreveryoungradio.com. While you’re there, listen to past shows, there’s several of them up there and it’s always good to go back and listen to shows that we have where a lot of information is transferred because we just don’t remember everything. You can also get some great articles, all kinds of things that are put up there on that page, to help make you a more rounded and informed health consumer. And then make sure that you visit the Weekly Highlight page. Cary: “Howdy, my friends, welcome to Forever Young. Cary Nosler here, along with Kelly Capassola and a special guest today, Priya Khan. She is the founder and [laugh] ‘worrior-in-chief’, I like that one, of NutriGold. It’s a nutritional supplement company that those of you know who listen to our show know that we have talked a lot about. It was founded, she founded it, in 2010 powered by integrity, guided by a philosophy of excellence. 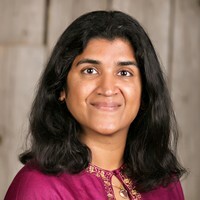 Priya has spent the last eight years revolutionizing, redefining, and raising the bar on sustainability, quality, and accountability, also transparency within the dietary supplement industry, all qualities that we as consumers appreciate so much. Priya: “You know, to be perfectly honest, I don’t remember much about what my life was like before I actually had kids. [laugh] It’s all one beautiful, happy, big blur. I’m assuming I had more free time, I think I was more self-absorbed. I was more oblivious to the challenges in the world. It was a happier time, you know, really. But I think, if I really have to sum my life and the events that lead up to the events that led up to my being on your show here today, I’m the younger of two kids. My older sister, as you know, most siblings tend to be, is the bane and boon of my existence. My mom is everything I swore I would never grow up to be and everything I now wish I had become. My dad was a philanthropic entrepreneur who had the heart for business but not the head for it [laugh]. I was a lazy, reluctant student growing up. I went to school kicking and screaming every single day, but my mom has always been a big champion of education, so it didn’t matter what I wanted. I had to go to grad school, that was a given. I graduated with a PhD in 2006. I got married, had kids, started NutriGold, and the rest, as they say, is colorful history. I’ve been very private. Even as the founder of NutriGold I tend to shy away from the limelight, generally, because, you know, I don’t want anything that I say or do, or who I am as a person, to positively or negatively, mostly just negatively, to reflect on everything that NutriGold has the potential to be. I wanted NutriGold to stand on its own merits and to be recognized for what, you know, it was contributing to the nutraceutical industry. Cary: “You mention, again, a PhD, marriage, children, lots of things going on in your life, and now here you are with NutriGold, a supplement company. I must tell you, though, when I talk to people who know anything about you and the company, they always, always say this is a company that sets the bar high. The standards that you live by, that you espouse, and that you practice in your business are certainly things that consumers are looking for today in the supplement industry, but again, was that your motivation? Were you someone who was taking supplements and said, ‘You know, I just want something that’s the best possible thing that I can put in my body, and I’m going to make sure that other people get it as well”? Priya: “[laugh] It’s really funny that you should ask me this question, Cary, and I’ve been asked this, you know, several times. I was at ShiftCon, it’s a social media conference that was earlier this year, you know, one of those events that I gave a talk at, and I talked about why I started NutriGold. But my talk was preceded by the talk by the organizer of ShiftCon, and she was talking about how, you know, she started ShiftCon and everything she does comes from a place of love. And, you know, so I went on right after her and I said that, you know, contrary to her experience, I started NutriGold out of rage. And I know that sounds very dark and very dramatic, but the only familiarity I had with supplements was that my husband was working for a supplement industry back in the day. I was happily an academic. I enjoyed academia, I loved teaching. I was grateful to have the opportunity to do what I loved every single day. I’m not sure my students would agree, but, you know, I enjoyed it. But right after I graduated with my master’s and PhD, I decided I would take a break, you know, because I’d been in academia for so long. And I thought, you know, I just needed to hit the reset button, you know, take some time to maybe relax, read books that are not related to my schooling and to my projects. Priya: “The only thing that I didn’t do, and I didn’t think it was necessary for me to start that early, was taking a prenatal multivitamin. You know, I figured I still had time, I wasn’t pregnant yet, and I figured, you know, I had time to get it. And then my doctor said, ‘No, you should start early, you know, you have to start way before you try to conceive because you want to make sure you can support the conception and the growth of the baby even during the early stages,’ and I said, ‘Alright, fine.’ This was back, you know, in the good old days before you could find all kinds of things online. You know, people were still buying from local health food stores, you know, which makes sense. You know, you could get the support and council that you needed. So, I went to the health food store so confident that I knew what was required to buy the prenatal. I don’t know if it was arrogance, overconfidence, or maybe I just thought, ‘It’s a prenatal, I mean, how hard is this? You go to the store and buy the prenatal,’ right? [laugh] Turns out at least, I don’t know, I think it’s far worse now, but even back then, I started to get the sense within ten minutes that choosing a prenatal multi was actually some sort of secret exercise, you know, that nutraceutical companies conspired to come up with to make sure you were ready for the pain and suffering of childbirth because it was painful [laugh] to even figure out what to buy. I was shocked. Kelly: “Priya, I want to ask you to hold that thought we have to run out to a break, and when we come back we’ll pick up on it. Listeners, please go to our website foreveryoungradio.com. Hit our Weekly Highlight page. There, you can learn more about our very special guest today, Priya Khan, and also about NutriGold. Go and check it out over the break. We’ll be right back to discuss more on your health right here on Forever Young. Priya: “Yeah, I have heard that before, and you know, people always tell me, ‘You should go write books,’ and I’m like, ‘I will as soon as I read the book that my husband got me about how to work on writer’s block’ [laugh]. I must say I got that book almost eleven years ago, so I haven’t gotten around to reading that book quite yet. So, once I’m done, maybe I’ll be able to actually get around to actually writing stuff [laugh]. Anyway, just to kind of wrap of my story, I think eventually I just picked the one. I was under pressure to make a purchase because I knew I was making the sales associate very nervous. I had been there forever just walking back and forth, and you know, I don’t blame her, so I picked one. It said it was food-based, it was 100 percent natural, which I thought was a good thing. I didn’t know what it was, but I thought it must be good, and the best part was that I only had to take one tablet a day, which I figured would mean I would be better about complying with taking it. The retail associate was, I’m sure, was tickled pink. She nodded approvingly at my decision which, you know, validated my decision, more than I care to admit, in that moment. I left with my perfect multivitamin. The euphoria lasted maybe like thirty minutes because after that I went home and I took my first tablet; fifteen minutes, twenty minutes later, I started to feel very queasy. Then I thought, ‘Hey, you know, maybe I’m just exhausted.You know, I need an excuse for a daytime nap, I have one,’ so I just decided to go to sleep it off. But I couldn’t get comfortable. Like, I continued to just feel nauseous. So, I turned to my trusted friend and confidante, you know, Doctor Google, for advice, and of course as is always the case you find all sorts of theories about why you feel queasy. Some women were taking the exact same brand I was taking and seemed convinced that it meant that they were pregnant. But, you know, barring the possibility of an immaculate conception, [laugh] I knew that couldn’t be the reason why I was queasy. Others seemed to say the reason for queasiness was because of synthetic vitamins, but I knew that couldn’t be the case either because, remember, mine was food-based and 100 percent natural, so that couldn’t be it. So, what was it? Why was I so sick? [sigh] Turns out the prenatal multi that I had was, in fact, made from synthetic vitamins, contained only like ten or twenty milligrams of food powders, which I guess was the basis for the ‘food-based’ claim, and forget 100 percent natural - I don’t think it was even five percent natural. I was, unfortunately, the victim of clever, possibly unethical, marketing, and I was upset. I was livid because betrayal is heartbreaking. It doesn’t matter whether it’s a personal relationship or it’s business, you know, feeling like you’ve been dooper or scammed into making a purchase is bad. No company or individual should ever do anything that would cause people to feel that sense of betrayal. But I think to break the trust of to-be moms, you know, women who are about to go through a life-changing experience who are already anxious about what the future’s going to bring - betraying them? That’s beyond the pale, you know, for any company. And, you know, I just want to be clear. Don’t get me wrong. I’m not objecting to companies making synthetic vitamins. I’m sure they have their reasons. I’m sure they think they are good reasons, and there might even be a market for synthetic vitamins, but my point is if they are synthetic vitamins, say they are synthetic vitamins, and if people are still going to buy them, that’s great. But what I don’t appreciate is being mislead into purchasing something that isn’t what it claims to be. So, I know I get very passionate about this because I remember how anxious I was back in the day when I was trying to get pregnant, and, like Cary just said, I had a PhD. It wasn’t that I wasn’t well-read or well-informed, and like most women or most people who are busy, you know, holding down jobs, raising families, paying bills, and, you know, juggling like 12,000 different things, I was actually on a sabbatical, so I had all the time in the world to do my research. And yet, here I was after that painful exercise with a bottle that was completely useless. I threw it in the trash, got really mad at my husband for being part of the nutraceutical industry that had conned me into making this purchase, and for that, I would never ever look back on the industry, on supplements - I was so done. I went on to have my baby, I went back to teaching, but, you know, eventually I decided to trade in my teaching position for the overworked, underpaid, and underappreciated job of being a stay-at-home mom. I figured, you know, I would bond with my child, spend some time, you know, they are little for such a short period of time; it seems like they grow up overnight. And my husband decided that this was a good time to talk me into joining him in his company, you know, in the company that he was working for which was also a nutraceutical company selling, you know, different brands of vitamins. I always had my trusted bad experience, you know, of why I never wanted anything to do with the industry. And one day, after months and months of trying to get me to reconsider, my husband, you know, only half-jokingly said, ‘Hey, change is not a spectator sport. You can’t change what’s wrong with the nutraceutical industry screaming at the rest of us from the sideline.’ I kind of saw the point of what he was saying, but obviously he is my husband - I’m never going to give him the satisfaction of thinking he’s right about anything. So, you know, I just kept quiet, but he knew that if I didn’t have a smart, sarcastic retort, it’s probably because, you know, I actually think what he said has merit, so he went in for the kill, you know. Priya: “That’s exactly right, Kelly. I mean, you know, when I first started NutriGold, I had only one goal. It wasn’t ambitious. It wasn’t noble, you know. It wasn’t lofty. It was nothing just quite simply to never be the kind of company that would profit at the expense of a consumer, you know. I know that we make products for consumers to purchase, but we have a professional and a moral and ethical obligation to do it in ways that doesn’t exploit their lack of awareness or that doesn’t, you know, actively work to confuse them or, you know, de-fact them with things that are relevant, ultimately, when making a purchasing decision. And I found it a little, I don’t even want to say shocking, I was a little taken aback by the level of apathy that was in the industry where people were under the assumption that if consumers don’t know enough to care, or they know and don’t care, then that means it’s a free pass for us to do whatever we wanted. And then I would tell them, ‘But it shouldn’t matter whether consumers know or not. I know!’ I would know that we use genetically-modified ingredients. I would know it has allergens. I would know that we added chemical additives, and that’s not okay. I’m not doing this for a marketing edge. I’m not doing this for product differentiation. I’m doing this because this is the right thing to do. Cary: “Howdy, my friends. Cary Nosler here along with Kelly Capassola. Thank you for joining us today on Forever Young. Having a very enlightening conversation with the founder and CEO of NutriGold, Priya Khan. Priya, you’ve touched on some issues that are really germaine not only to individuals but to the trusting confidence that people have in the supplement industry as a whole. It is embarrassing and disappointing, I think, that when we read some articles about companies that have kind of deliberately defrauded people, or when they do an analysis and they find out that they don’t even have the amount of ingredient that they say they do on the label, or in some cases, especially with herbs, that it may not even be that substance at all. A lot of adulteration takes place, and for those of us who are really committed to that kind of lifestyle, a healthy, sustainable lifestyle, it’s disappointing and sad because we know so many people could benefit if they got the right products. Priya: “Right. So, I’ll just briefly say a couple of things about sustainability. You know, Corinna calls sustainability a buzzword. I believe she uses the phrase ‘green washing’, you know, so it’s been reduced to something so companies think, ‘Okay, consumers are looking for this so we should probably put it on our label or introduce it in our marketing somehow to make, you know, it seem like we are very eco-conscious of our choices’. To me, and to NutriGold, sustainability is a conscious commitment. It’s a commitment to prioritize people and planet over profits. It is about approaching, you know, earth-friendly practices, committed to sourcing non-GMO ingredients or supporting organic farming or using locally-sourced ingredients when possible, or even, you know, going so far as to use a tree-free carton, you know, made from renewable sugarcane fibers or biodegradable fibers. These are not business expenses, right? Most companies would treat this as an expense that cuts into their bottom line. We see this as an investment, right? This is an investment into our futures, the futures of the generations that will follow us. And so, I think when companies, depending on if the companies, see sustainability as a marketing expense that needs to be accounted for in their bottom line or they see it as an investment, their approach to sourcing, you know, fundamentally changes, and I’m sure I’m sounding alarm bells and I might be scaring a few people, but that's not my intention. My intention is for consumers to remember that companies are for-profit, right? They are in business to make money. Let’s not kid ourselves about that, and few companies are intrinsically motivated to help do what’s right, especially if it comes to the expense of the bottom line. And when you have a crowded marketplace, like on Amazon or elsewhere online, price has become one way for companies to attract consumers who either assume that all products are created equal or simply don’t have the luxury of investing the kind of time and energy required to even tell products apart, right? I mean, Kelly was mentioning earlier in our conversation that you can have two products, one’s 28 dollars and one’s 12 dollars, on Amazon, for instance, you cannot tell from looking at the product page which one is authentic, which one contains what it’s supposed to contain, which is made by a credible brand. All you can tell is what retailers are willing to tell you, correct? And that’s where it becomes important for consumers to go beyond, you know, the pretty packaging, go beyond the reviews, go dig a little deeper because the one thing that consumers should be careful about is not to outsource the responsibility for their health to companies that may not necessarily be in business for them. They are in business to make money. We have to recognize that, you know, the responsibilities are clearly drawn in the sand. The lines are in the sand, right? Companies like Amazon, for instance, or any marketplace or any online retailer, their goal, their job, their reason for their existence is to offer selection, right? To offer choice. To give people an opportunity to maybe get some instant gratification to get the things they need right away, and maybe the protection that comes from purchasing from a big company like Amazon. Kelly: “Yeah, and that’s an important point because when we look at it, and gosh, a company like NutriGold: non GMO-verified, free of allergens, people have tons of different allergens out there which I love that you are very cognizant about what you put in those ingredients. Again science-based ingredients and that backing of a certificate of analysis and third-party testing and validation and verification. I mean, people would think when we talk about these products they're going to have to mortgage the home to be able to buy it [laugh], and for some reason it makes me feel ashamed of other supplement companies because you’ve been able to check every single one of those points and still make an affordable brand where people can maintain it every month where they’re not, you know, feeling like it’s hard on their pocket book. It’s something they’re like, they should learn to expect, and that’s one of the things that I’ve seen with a lot of the listeners on this show that we hear from that are using some of your products is, ‘Wow, gosh, I feel so much better, you know, I do feel good! I’m getting around a little bit more,’ and those things why we recommend supplements. Priya: “Oh, gosh [laugh], well, I do consider NutriGold products like my children. I know how bizarre that sounds, and I am reluctant to pick favorites. I love that our omega-3 products are certified sustainable. I love that they are locally sourced. I love that our multivitamins are certified C.L.E.A.N. ; I believe it’s the only line that has the certification.